Wednesday is for winners. Here are a few top under the radar wins this weekend you may have missed. The Flying L's had a breakout weekend, winning the Sam Burley team title in 81 points against Piper's 74. Fort Lauderdale. Flying L's solidified their win with the Dorceus twins going one and two in both the shot put and discus! Desmond Dorceus won the shot put in 16.43m (53-11) and Demetris Dorceus won the discus with a 47.45m (155-08) throw. Together the twins scored 36 points in two events. Fort Lauderdale sophomore, Michael Fiore, was a distance powerhouse, scoring a total of 15.25 points with his second place finish in the 3200m with a time of 9:39, third place finish in the 1600m with a 4:25.07, and fourth place finish of 8:03.58 in the 4x800m. Gulliver Prep junior, Natalie Varela, broke out this weekend with a fantastic 2:12.34 800m win at the Sam Burley Invitational. Not only was this a meet record and personal record for the junior, but it was a FL no. 1 and US no. 2 time. Varela took off with 400m to go, leaving no hope for her competitors. This was Varela's first open 800m of the 2019 season. Earlier in February she ran a 5:03.25 1600m and 11:37.52 in the 3200m. Varela was sixth place at last year's 2A state finals and this year, Tsion Yared, Jatana Folston, Daishon Spann, and Jadae Barrett make up the top five with their sub 2:18 performances in this early regular season. HB Plant freshman, Marry Ellen Eudaly cannot be stopped this season. This past weekend she lead the 1600m race at the Nash Higgins Relays. Eudaly went through the first lap in an 76, dropped it down her second lap in a 74, went through the penultimate lap in a 75, and finished in a 4:59.52 in a 74 second last lap. Consistent paces for this freshman earns her the top freshman spot in the state of Florida for the event. Plant is scheduled to compete at FSU relays in a few weeks, if Eudaly is among the competitors, she will be an exciting one to watch when she races against competition. Alyssa Richard racked up the points for Miami Northwestern this past weekend at the Sam Burley Invitational. The senior won both the shot put and discus, throwing 42.93m and 14.01m, two huge PR's. These performances put Richard as FL no. 1 in the shot put, FL no. 4 in the discus, and US no. 4 in the shot put. 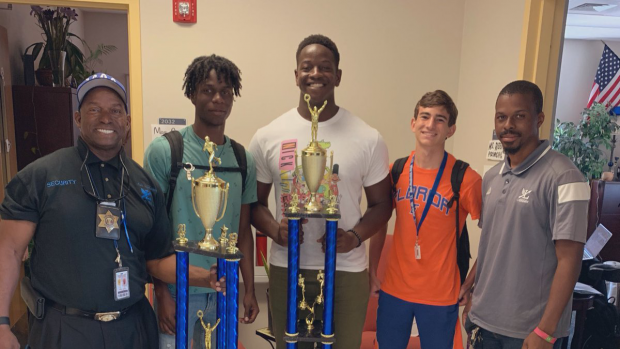 Last season, Richard placed third in the discus and was state-runner up at the 3A FHSAA state finals. 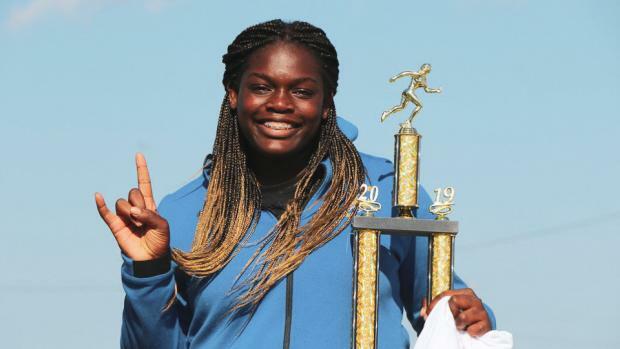 This year, the Miami Northwestern senior starts off her season undefeated with huge wins at the Louie Bing Memorial Classic, Spartan Invitational, and now Sam Burley Invitational. Niceville has a strong group of pole vaulters this 2019 season. Niceville junior, Kobe Babin, won the Bay HS North Florida Invite this past weekend in a new PR of 4.72m. Earlier this year, Babin travelled to the National Pole Vault Summit and vaulted a 4.67m to place sixth. Babin's new PR makes him the top ranked vaulter in the state of Florida and ties him for US no. 4. The junior also finished second in the high jump at the Bay HS North Florida Invite with a new PR of 1.83m.